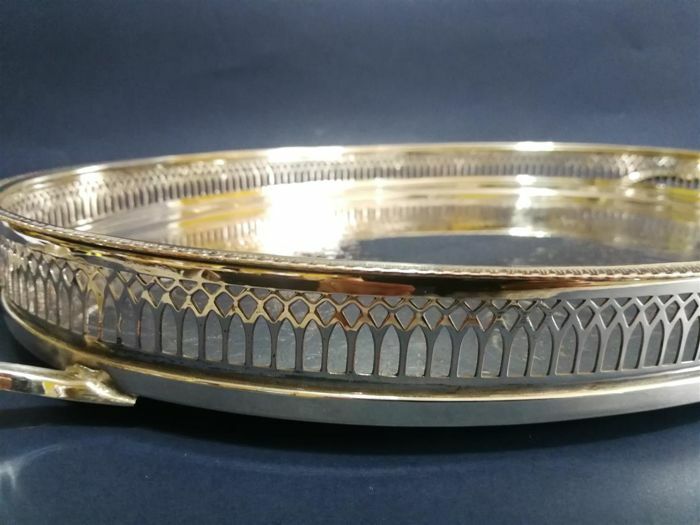 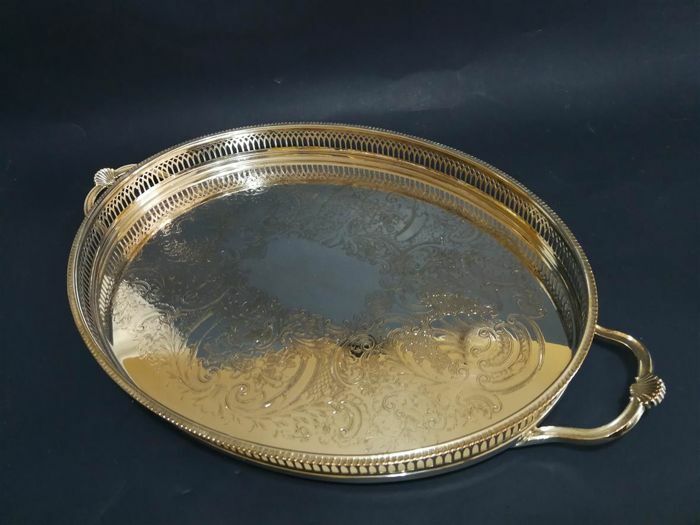 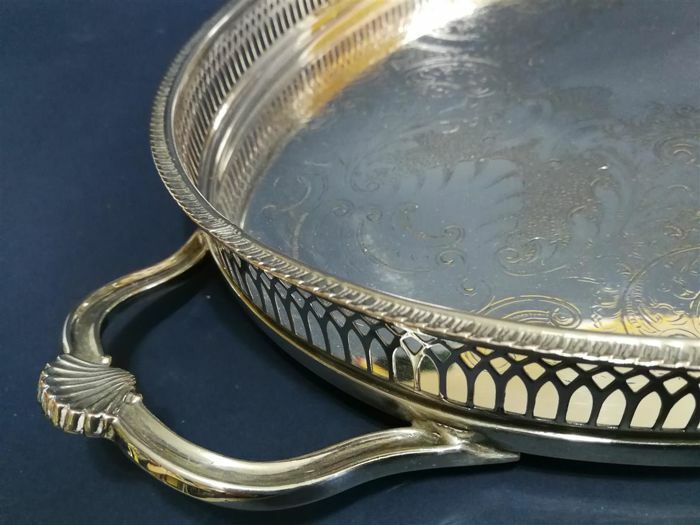 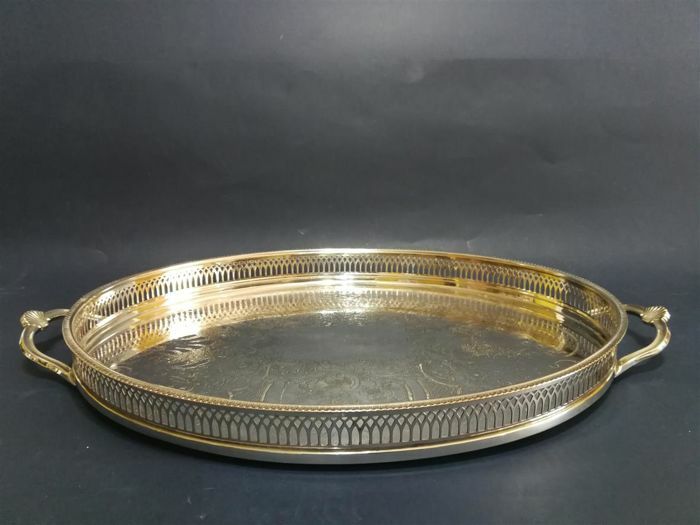 Lot 307 - Big tray with handles and openwork decor on the edges, silver plated, by Cavalier. 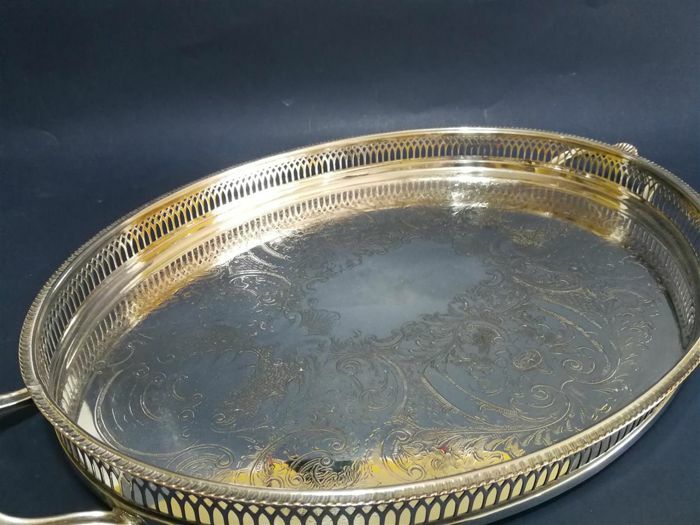 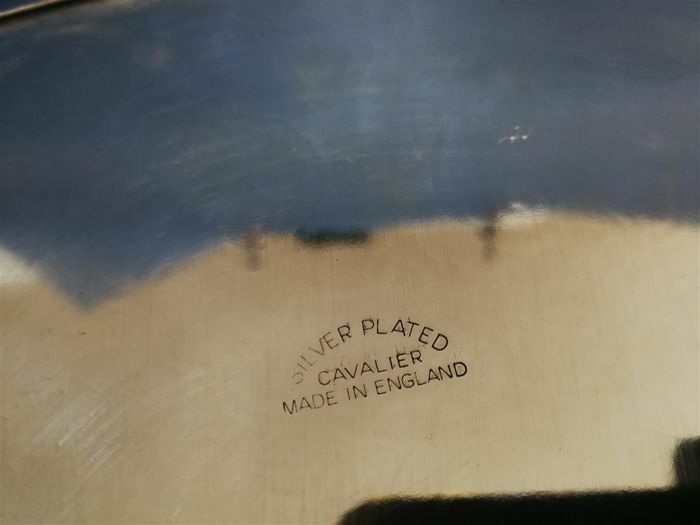 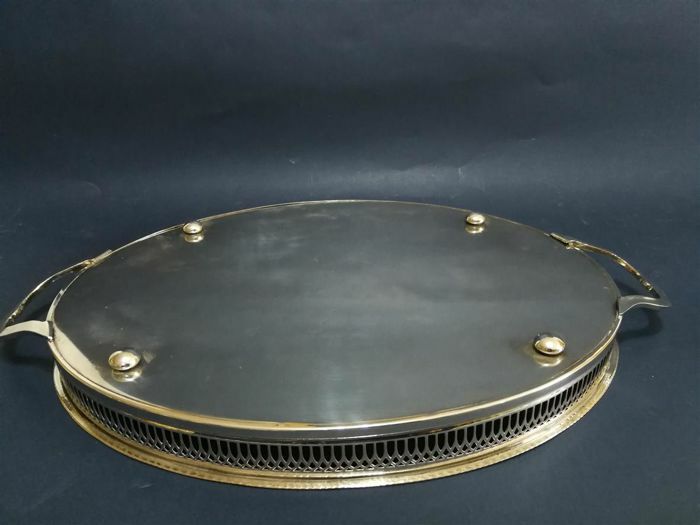 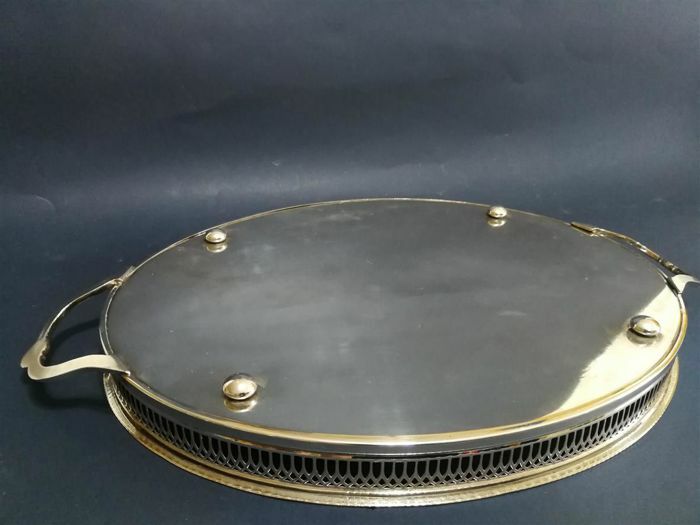 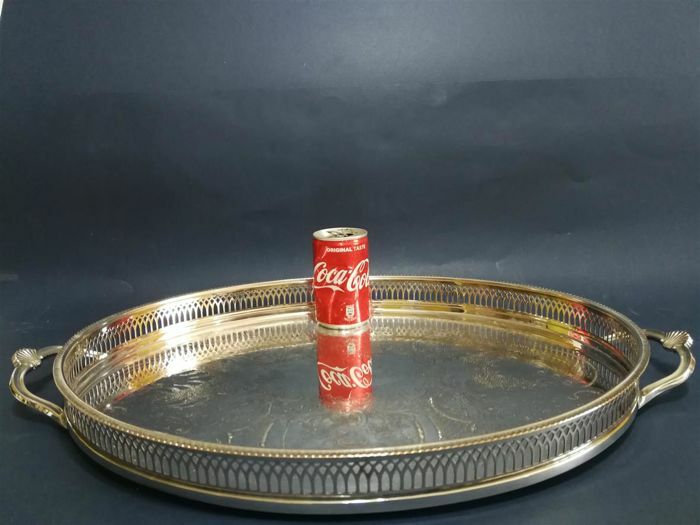 It is in excellent condition, it has a small loss of plating, as shown in the pictures. 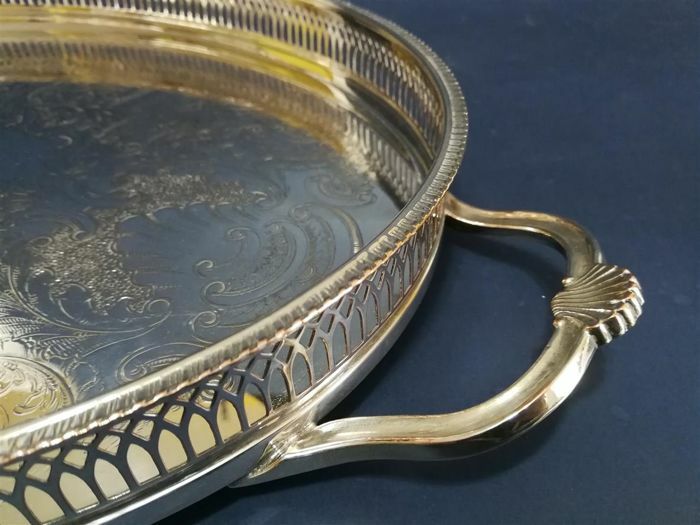 It shows a beautiful decoration and a free cartouche.